That’s... such a bad move. I’ve always liked Zhou (I never believed the American propaganda that he’s the best skater yadda yadda yadda, tho) but I’m gradually starting to get irritated by him and his coach. I know it’s not Zhou’s fault that everyone is treating him like he’s above or like he’s the messiah of skating bc of his quads, but suggesting that camera faults resulted in his score is... a bit rude towards skaters who actually scored higher. Just... learn to accept “failure”. Yikes that article. I agree that there should be better cameras, but the implication that Vincent's URs were called incorrectly is *rolls eyes* I don't think Vincent would fare better under more camera angles and higher speeds. I think it's already the second article in a few months framing Vincent as The victim of unfair calls...but...well, I'll be happy if US media could really put some pressure to ISU and force them to improve the equipment. btw, leaving aside the reason of the article, I don't think the piece is bad. I agree with the main point -- ISU should give better tools to panels (and also work on making scoring more consistent....but one step at a time). ISU owes that to skaters, whose careers depends on the calls they receive. And coaches should be careful what they wish for: higher-speed equipment could, in certain cases, expose additional weaknesses in jumps, including rarely called pre-rotations. and whoa is that PRE-ROTATION I read, on NBCsport? The issue of tech panel is pretty simple. If we were to judge 100 meter dash, a referee needs to ensure all athletes are really running 100 meters and start at the same point. Not someone gets to jump start 0.5 seconds early, someone can get away with running 90 meters and another needs to go 110 meters to count. If that were allowed, we'd consider the sport a complete farce. And that is essentially the role of the TP- ensure everyone is starting more or less at the same baseline (BV in this case). We already have PCS issues, GOE biases, country biases etc, that already are doing the equivalent of giving athletes a slight 0.5 seconds head-start. The least we could do is ask the TPs to ensure people are doing a full 100 meters. (Not to mention there is already PR allowances so technically not everyone is starting at 100 meters). As for PR- I know this sounds like conspiracy, but part of me wonders if it isn't targetted towards potential Beijing contenders early on. In this case, I'm looking at Shoma's 4F in particular, potentially Gogolev's 4Lz, and potential Russian men coming up. In short, any of the potential contenders with a decent reputation for Pre-rotation, since US is quite secure in Nate's jumping ability. This also allows some opening of the floodgate to PR against JPN and Russian ladies, especially Russian ladies who have a PR reputation to a degree. USFed does want a medal, which it hasn't had for a long while internationally. Interesting. Well if it takes USFed politicking to get some decent tech equipment and fair tech calls, I'm all for it. But in ladies, Alysa Liu is known for having a PR problem, isn't she? I guess she's very young so she could fix it. If we look at US Media, the big one is Shoma, and then Satoko. After that, whomever survives of the Russian girls (I think Kosto won't get dinged much, but watch them go after Schebakova and Trusova). Funny how this apparently is too hard to get for some. Might be a UO: I'm fine with the 4 min mark for men. I just want another jump gone, and level requirements to be more sensible. If the level requirements won't ever make sense, then keep the jumps, dump a spin. That could work. But at the end, nothing matters as long as the judging stays the same. I think 6 jumps plus lower level requirements would be great as long as the judges actually judge quality. So six big jumps, great positions and edge quality, and great performance and musicality in four minutes is physically exhausting, like a sport should be. I don’t want them to lower level requirements I want them to actually differentiate and give more points to higher level spins and steps. And yeah, same number of jumps with more time sounds good to me. I don't think a deflation is necessary, I think it's necessary for judges and the judging system, and even fans, to accept that gaps do exist. Very few skaters, especially when trying to climb up rankings, will try to really balance the PCS and TES. TES, especially BV is much easier--> do a jump or spin etc successfully, you get the point. And it's much more straight forward. However, that is a choice and judges should recognize and accept that choices were made. Scores might not be as high, but they would no way be truly "low" just because PCs aren't keeping up with the BVs. They were not really supposed to, and it's not like all skaters are PCS-artistry type of skaters. It does create the problem that if a skater gets 88 PCs out the gate, but increase and do in fact do better years later, they can't get higher PCS. People wonder why TES and BV is ballooning- well geesh, look at what other options are given, especially if new senior skaters from big feds are getting 88% of their maximum PCS already in year 1. Why? 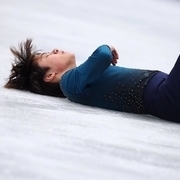 Currently, what happens is that even with bad quality positions and edges, skaters get high levels. If the requirements are lowered, the skaters can focus on what they are capable of doing with higher quality. Reward difficulty and quality through GOE. Otherwise, what can happen is take the same level requirements, but make sure the GOE rewards are the same across all the levels. So people who are simply not yet at the level of doing level four spins and steps are deducted in BV, but the GOE they get for practising to deliver what they have with quality is worth the effort. Otherwise, skaters just labour through low quality level four elements, without respect to quality. This would ideally also come with PCS rewards, because your making it all look stronger and effortless. It takes hardwork. I don't think PCS needs to be touched anymore, but we'll see.